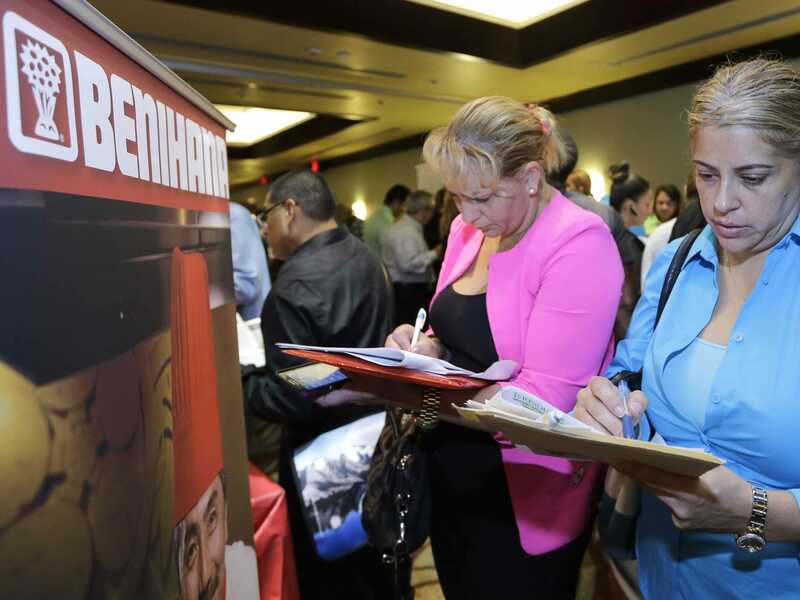 AP ImagesJob seekers Madelin Garcia, right, and Noharis Nunez fill out a job applications at a job fair in Miami Lakes, Fla. The BLS will release its report on nonfarm payrolls for October at 8:30 a.m. ET. September’s report was strong. The economy added 248,000 jobs and the unemployment rate fell to 5.9% — the first time unemployment fell below 6% in six years. After a few weeks of low jobless claims reports, economists expect this month’s numbers to be nearly as strong. Last month, the labour force participation rate fell to 62.7% from 62.8%, and wages were flat month-over-month. Those two data points have lagged behind some of the headline indicators, and show a little more slack in the labour market than the unemployment rate and payrolls number would otherwise indicate. But other data points suggest a robust economy. Current jobless claims are at the lowest level since 2000. The ADP private payrolls report jumped to 230,000 this month, up from 225,000 in in September. And the latest ISM services employment index jumped to a 9-year high of 59.6 in October.. The BLS jobs report will be released at 8:30 a.m. ET.